The Crossword Jigsaw is a unique and intriguing challenge for the seasoned crossword enthusiast. Firstly solve the crossword then do the puzzle. After the crossword puzzle has been solved, this will become your guide to assemble the 550 piece jigsaw. As an added feature, the same crossword can be downloaded so it can be solved by another crossword fan. 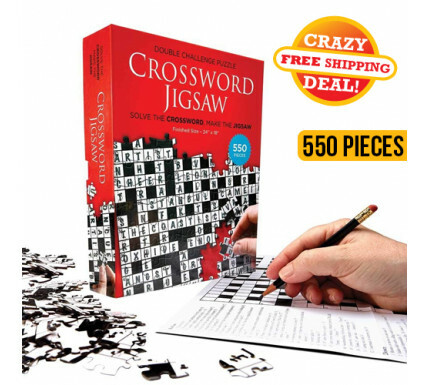 It makes a great gift to keep those crossword lovers entertained for hours!